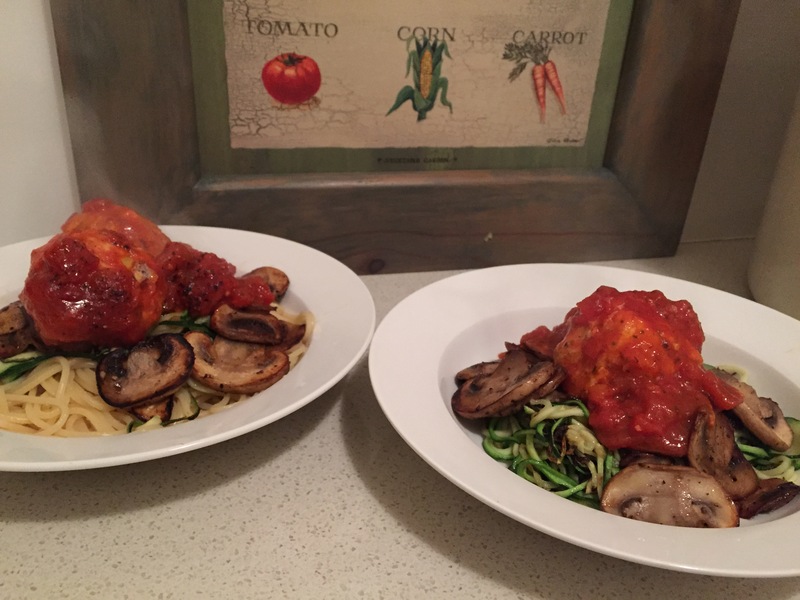 So I’m attempting to be healthy but also am pretty average in the kitchen so when I made these Turkey Meat Balls and they were simple, healthy yet still tasty, I thought I’d share the recipe with you all! 1. Start off by pre-heating the oven to 180 degrees Celsius and lightly oil your baking tray and place in the pre-heated oven. 2. Peel and dice up the onion into bite size pieces. 3. With the carrot, peel and grate. 4. Then mix in the 1 egg, the mince, bread crumbs, milk, onion and carrot. Don’t forget to add salt and pepper. 5. Once all combined starting making the meatballs (no bigger than a gold ball). Place each ball in the baking tray that was in the oven. Be careful as the oil will be hot. 7. Cover the baking tray with foil or a lid and place in the oven for 30 minutes on 180. Then cook for an additional 20 minutes at 250 degrees Celsius. Around the 45 minute mark I always cut one in half to check the cooking status. 8. While the meatballs are in the oven move onto your veggies. Mushroom is optional; I just slice them up and put them in the fry pan with some salt and pepper. 9. While the mushrooms are frying move onto the zucchini. You will need a spiralizer to spiralizer the zucchini. 10. Take the mushrooms out of the fry pan and place on a plate. Into the fry pan chuck the zucchini and cook for 1 -2 minutes. 11. If you need some carbs, cook some angel hair pasta. It’s great to mix in with the zucchini. On the left is Bae’s plate with spaghetti (we ran out of angel hair pasta) and on the right is my plate with zucchini as my “pasta” alternative. haha! Thanks! One of my favourite recipes!